Chek –In in a hotel in the center of the town(*).Tour of the city center (about 3 hours). Visiting the city monuments of five civilizations - Thracian, ancient Greek, Roman, Ottoman and medieval Bulgarian. 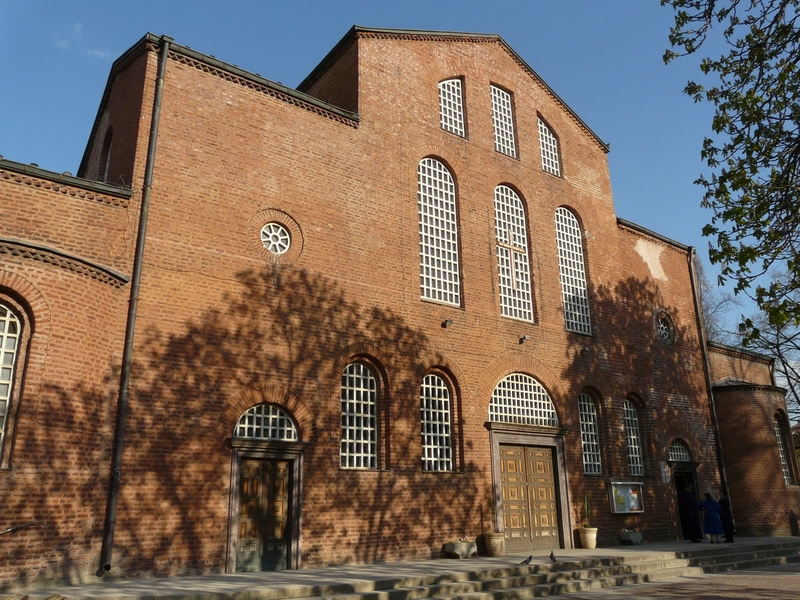 Visit the St. Sophia church (5th, 6th century AD), given its current name of the city. Visit the largest cathedral in the city Alexander Nevski Cathedral, St. George Rotunda (3rd, 4th century BC) and the city walls. Dinner in a traditional restaurant with national Bulgarian food and wine. Night. Visit of the historical museum with the famous Panagurishte gold treasure 2400 years old ( dated end of the 4-th beginning of the 3-d century BC ). Bulgaria is a country with thousands of years of history, which is evident by the multiple remains of necropolises, antique towns and cities, tombstones, etc. No doubt some of the most interesting proofs of life found on the earth are the multiple golden and silver treasures, found in various parts of Bulgaria. A number of them provoke serious international interest and carry important information about ancient civilizations, which had occupied the present Bulgarian lands. The oldest golden treasure in the world was found neither in Sumer, nor in Egypt, nor in pre-Columbus America, but in Bulgaria, in an Eneolithic necropolis, found near Varna city in 1972. The treasure has an exceptional value because according to scientists it dates back to the 6th millennium BC. This sensational find posed new questions before science in terms of the ancient civilizations, which had inhabited the Bulgarian lands before the Thracians. Bulgaria is a country with thousands of years of history, which is evident by the multiple remains of necropolises, antique towns and cities, tombstones, etc. No doubt some of the most interesting proofs of life found on the earth are the multiple golden and silver treasures, found in various parts of Bulgaria. A number of them provoke serious international interest and carry important information about ancient civilizations, which had occupied the present Bulgarian lands. The oldest golden treasure in the world was found neither in Sumer, nor in Egypt, nor in pre-Columbus America, but in Bulgaria, in an Eneolithic necropolis, found near Varna city in 1972. The treasure has an exceptional value because according to scientists it dates back to the 6th millennium BC. This sensational find posed new questions before science in terms of the ancient civilizations, which had inhabited the Bulgarian lands before the Thracians. Visit of the wine celler Rumelia and degustation of the wines of many prices from France , Germany and England. The Thracians were known as famous and crafty wine makers, a witness of which was Omir.The wine-makers of Rumelia appreciate the proven traditions of the past in the art and secrecy of wine making and combine it with modern equipment and technology in order to propose own style and distinguished character of our wines. Wine tour and wine tasting. Departure to Starosel ( trip about 40 min ) . One of Bulgaria’s top Ancient Thrace sites, the Starosel Tomb, has been dated to the 4th century BC after years of research. A peculiar temple-tomb was found there in an enormous mound, possibly intended for King Sitalkes. The archaeologists believe that the region was the power center of Ancient Thrace in the 4th century BC. It was destroyed during the rise of the Macedonian state of Philip II in 342-341 BC. Visit of the wine cellar Starosel. The Thracians were famous in the ancient world for its wines, which were declared as the best. Degustation of the wines. Departure to Hisaria. Hisarya is famous for its healing mineral waters: 16 natural mineral springs and 6 drilled mineral water wells. The town is one of the oldest and most popular balneological and spa center in Bulgaria. The climate is mild and pleasant, and one remarkable phenomenon there is the lack of fog. Because of this fact the town is regarded one of the sunniest spots in Bulgaria. The pleasant climate and the mineral waters of this location have proven to be attractive to settlers since ancient times. The settlement’s heyday was during the Roman era. In 293 Emperor Diocletian declared it a town and this marked the beginning of the construction of massive fortification walls, public buildings, baths, streets, etc. It became the third biggest town in Thracia Province. In terms of state of preservation and uniqueness of its fortification system, the Roman town of Diocletianopolis is among the top-ranked in Europe. The town located on the territory of the ancient fortress and the monuments of culture /fortified wall, amphitheatre, public buildings, Christian basilicas, barracks, villas, thermal springs, and a Roman tomb/ comprise Diocletianopolis National Archaeological Reserve. The town is famous for its beautiful parks. They spread out on an area of 700 decares and include more than 160 decorative tree species. Chek-in in a hotel. Dinner. Overnight. 3-d day: Breakfast. Trip to Plovdiv , the second largest town in Bulgaria. It is one of the oldest town of Europe. There are artifacts of Thracian civilization. The period during which Plovdiv has been within the Roman Empire was marked by the construction of many large public buildings like an amphitheater (late first and early second century of our era). And nowadays it is used for performances and outdoor concerts. Other major monuments of Roman civilization are the Roman Forum (2nd century BC) and Roman stadium in length of 180 meters and with 30,000 seats (second century of our era). At that time the name of the city was Trimontium, which means "town on three hills. "Bulgarian history is presented in the old town of Plovdiv with the big beautiful houses of 18 -19 century. They are evidence of the economic power of the city during this era. At that time Plovdiv compete with Thessaloniki and Istanbul. The walk along the narrow cobbled streets between high walls and overhanging second floors take us back in time. In many of these houses are now occupied exhibition halls, shops and restaurants. Dinner and night in the old town with traditional Bulgarian dishes and wines. 4-th day: Breakfast and departure to Bachkovo for a visit to the famous Monastery of Bachkovo . At the end of the 12th century and the beginning of the 13th century, The Holy Archangels Church was built, for services during the winter months. In the cathedral there is an icon from 1311 known as The Holy Mother of God Icon, with a silver repousse cover. This icon is believed to have miraculous powers. Visit of the wine cellar in the town of Asenovgrad. The grape gathering compain of Wine plant “Asenovgrad” starts during the first days of September with the early ripening grape sort Rubin which is a cross-fertilized/hybrid/ between the French sort of “syra” and Italian sort of “nebiolo”. Furthermore continueing with delivering and processing of such sorts like Cabernet, Merlot and finallized at the end of October with sort of Mavrud – a very ancient sort of more than 2500 years. The techonology of processing and production of red wines of the limited company is a combination of the latest achievements of contemprary wine sience and accumulated through the years by espertise of the specialists working in the Vinery/ Wine Plant. Degustation. Return to Plovdiv. Dinner. Overnight. 5-th day: Breakfast. Free time in Plovdiv for walk and shopping. By noon check out and departure to Brestovitza ( trip about 30 min ). Visit of one of the 3 wine cellars of this famous by its wines village. Todoroff is the first boutique cellar in Bulgaria, the inheritor of rich culture, traditions and inspiration, coming back from the centuries. Todoroff Boutique Wine Cella r is specialized in production of high quality red wines of "Mavrud", "Merlot" and "Cabernet Sauvignon" grape varieties in boutique series of limited quantity. The cellar is situated in one of the symbolic for the Bulgarian wine production villages - the village of Brestovitza. Wine production in Plovdiv region dates from the ancient Thracian ages - a fact, which is evidenced by the numerous archaeological discoveries in the region. The tradition of wine producing, inherited from the ancient Thracians, reflects in the approach used in Todoroff Wine Cellar nowadays. This tradition, worshipped during the centuries, is based upon the fines and harmony of aroma and taste, along with the believe that making wine is a kind of Art. Degustation. Departure to Ognianovo and the wine cellar Bessa valley. The wine-makers from Bessa Valley, are inspired by this place as much as the Bessians were 2500 years ago (Thracian people who lived in this region ). The owner of this winery is Count Stephan von Neipperg was born in Germany. He is the owner of six wine cellars in Bordeaux: Chateau Canon La Gaffeliere (Saint-Emilion Grand Cru Classe), La Mondote (Saint-Emilion), Chateau Clos de l'Oratoire (Saint-Emilion Grand Cru Classe), Chateau Peyreau (Saint-Emilion Grand Cru), Chateau d'Aiguilhe (Cotes de Castillon), and Clos Marsalette (Pessac-Leognan). The Neipperg family has been growing vines and making wines for 800 years. A wine tour that takes approximately 2 hours with tasting of 3 wines. Departure to Sofia. Dinner. Overnight. 6-th day: Breakfast. Visit the Boyana Church, located on the outskirts of Sofia. It is a true masterpiece of the Bulgarian Middle Ages. Its frescoes dates from 1259 year and it was declared by UNESCO a World Cultural Heritage. Free time to discover by yourself the Bulgarian capital. 7-th day: Breakfast. Check-out and departure to the airport of Sofia .